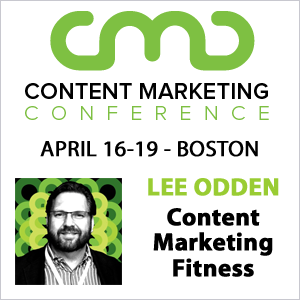 Most of the repurposing of content that marketers are practicing is about deconstructing content into smaller pieces. A modular approach helps make this a smooth process – square pegs into square holes, so to speak. But have you ever thought of taking the opposite approach? Here’s what I mean and what I’m now testing. 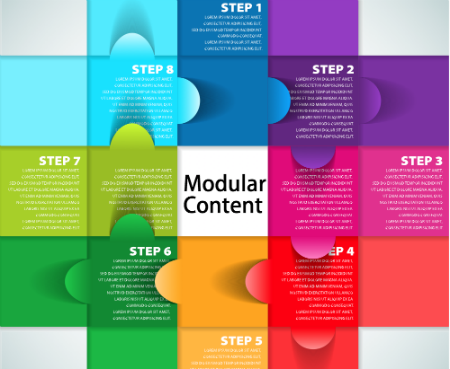 With a modular approach to content marketing planning, you can identify key themes and other elements within a template. Working with pre-defined key concepts as building blocks (mapped to your content plan and customer segments) ensures you’re covering what needs to be covered and it makes repurposing and personalization that much easier. It’s not so different from creating a baseline content object that will be localized and personalized for different target audiences in different regions. With normal content repurposing, you go from a collection of ideas in a larger content object and then break that collection down into smaller ideas, remix and reimagine them to create other smaller content objects. What I’m suggesting is that you try the reverse. With the right planning, you could take micro-content like statistics, quotes, tips and examples used as individual social network shares, then compile them according to themes, like industry, into a larger content object: blog post, report, eBook or presentation. I think the easiest thing to do would be to collect 25 or so statistics on a topic of interest to your target audience and then schedule social shares of those stats over time. Do the same with 25 quotes and 25 short, practical tips. That’s 75 social shares over whatever period of time you decide that serve as a layer of your social curation. Then do daily shares and interactions based on what’s happening now. I have no doubt that the idea of creating a template and working with modular content and scheduled social messages is breaking somebody’s rules. But the reality is, it’s practical, useful to readers and doable. You can also iterate and improve with very little risk, since it’s micro-content. 1. Publishing micro-content over time is like planting a seed amongst your community that this is information relevant to how you want to be known. Establishing attention and credibility through that content is prep for the larger content objects to be published. 2. Micro-content is highly sharable and if you’re consistent about publishing useful nuggets of information, you’ll grow the audience you need to make a bigger splash with the larger content object. 3. Publishing short format content, especially on the social web, will provide you with data. Views, shares, engagement, links and with a URL shortening service, basic demographics. That data can then be used to influence how the individual component parts are assembled in the larger content object. The tips with the most shares and engagement are included in the eBook or blog post and those with low engagement are not. 4. Curation of micro-content is easy, provides useful information to your target audience and can fit within a social content workflow designed to roll up to a larger content project. 5. Micro-content to big content is SEO friendly – Taking variations on a theme and compiling them into a larger content object is basically like optimizing that content for search visibility. Repurposing content in this way means more than piecing together random facts and tips. Micr0-content would sserve as building blocks, or modules, to create a larger story that’s meaningful to the audience you’re targeting. I think planning micro-content out to work with your social content and curation could evolve new content creation opportunities, especially if you add community engagement and crowdsourcing to the mix. It’s search and social friendly, plus you’re able to build up affinity for the thing you want to be known for before launching a big content project. How are you repurposing content for marketing? Have you tried reversing the process and building up a larger content piece from individual data points that were already published? Love the graphics. I gave a lecture on content marketing and the biggest question was, “How do I create more content?” When I explained repurposing, this was the biggest eye opener of all the concepts that I shared that day. This post is such a great resource to share, and I will! I dig the idea. I like turning posts into ebooks. Any leveraging strategy makes sense in the content rich world we live in. Turn one form into another. Reach into a different, highly targeted audience. No need to create something new every time out, just add a twist here and there to make content unique. The best part about repurposing is that it’s really about personalizing according to different target audiences. Another good thing about microcontent is that it allows you to be more targeted in how you tailor your content to a specific audience. Not every piece of content is relevant to a potential customer. Giving people the opportunity to read and share only what’s relevant to them will bring about more engagement with your social media strategy and ultimately build a stronger referral program. Hi Lee, any thoughts on how to ‘extend’ content into different formats, eg video, audio and… which perform best/worst? Hey Ivan, as a general guideline, video and images are engaged more than just text. 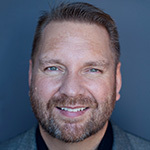 You could extend a press release or blog post by doing a short 1-2 min interview with a subject matter expert or executive involved with the story. Take stills as well. Another idea for news roundup posts is to video two people talking about the week’s news. Just a few ideas. Excellent point Lee. I think this also ties back to rapid prototyping ideas instead of spending months on planning huge campaigns that might or might not work. Taking this approach will allow the ideas and format to be validated by the community. Love it!